CONSUMER ADVOCACY & DEBT RELIEF LAW FIRM We help people get out of debt while protecting them from abusive debt collection practices. Whether you are being harassed by debt collectors or need to assess your debt relief options, there is no better place to look than our firm. Many of our clients come to the Law Office of Simon Goldenberg, PLLC hoping to avoid bankruptcy through an alternative. Although bankruptcy is a valid option for some individuals who are in need of relief from debt, our attorneys have been able to successfully settle credit cards and student loans through strategic debt negotiations. If you are on the fence between options, we can help you compare and contrast the differences between bankruptcy and debt settlement, and can help evaluate your options for lawsuit defense. Our lawyers have the knowledge to help you select an appropriate route to debt relief. Banks have teams of lawyers working to protect their interests - don't let them get the upper hand! Having an experienced attorney by your side can make a big difference in the result of your case. At the Law Office of Simon Goldenberg, PLLC, we believe that each case and every client is unique. For this reason, we use a customized action plan for each circumstance. Our firm is devoted to providing our clients with the individual attention they deserve. If you retain our firm's services, our legal team will listen to your needs and will advocate on your behalf. In all circumstances, we seek the most positive result for our clients through the use of the resources we possess. Regardless of the financial restraint you are facing, our firm can help you get out of debt and build your credit. If you are looking for a qualification that sets our firm apart, Avvo has honored Attorney Simon Goldenberg with the 2018 Clients' Choice Award. Individuals who are faced with a substantial amount of debt can count on our approach to credit repair and debt settlement. Attorney Goldenberg has also been selected as a Rising Star by Superlawyers for 2014-2018. Our firm is devoted to the protection of our clients as we vigorously defend their rights as a consumer. We are devoted to providing our clients with the attention and legal assistance they deserve as they address their particular debt issue. In addition, when debtors hire us, we do not just seek to help them get out of debt; we also help them plan for a better future. If you are experiencing a hard time remaining up-to-date on your credit card payments or other unsecured debts, we can assist in a variety of ways. We take an aggressive approach to debt relief for our clients in order to obtain the most advantageous outcome. We pursue relief from debt collectors and creditors who are making abusive or harassing attempts to obtain the money they are owed. Our debt relief lawyer understands the protections that you have as a consumer under the Fair Debt Collection Practices Act (FDCPA) and the Fair Credit Reporting Act (FCRA). Whether you are pursuing relief form debt under the United States Bankruptcy Code or another method, you can count on us to help you find relief from debt. With the experience we have, you can work toward a resolution for your debt issue. Send us your collection letters! We will review them for consumer violations, free of charge! Our lawyers have defended numerous consumers from debt lawsuits related to defaulted credit cards and private student loans. 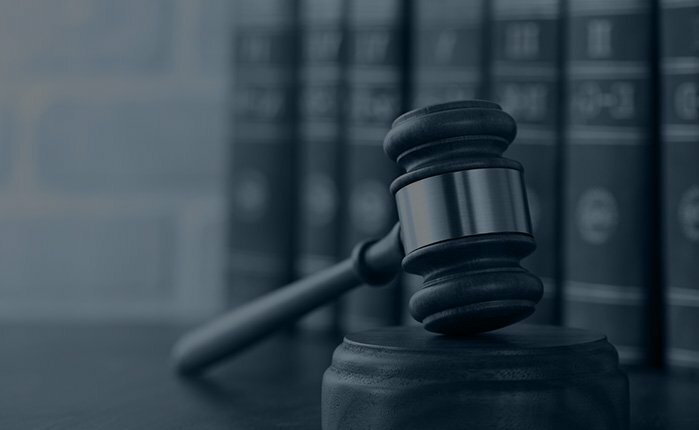 On each case, we explore numerous defenses, such as whether the lawsuit was commenced within the applicable "Statute of Limitations", and whether the plaintiff can substantiate standing to bring the lawsuit. In addition to identifying any viable defenses, we compile our clients' hardship information and present it in a fashion conducive to negotiating a reasonable settlement. At the Law Office of Simon Goldenberg, PLLC, we can take immediate action to ensure a fair resolution to your case. Our goal is to help you eliminate debt by utilizing the knowledge and resources that we have available to us. We pursue the elimination of debt because we are deeply passionate about this area of law. If you or a loved one have a complex debt situation such as an insurmountable amount of credit cards, business debts or student loans, we can help! Apr 01, 2019 How Does Compound Interest Affect Student Loan Debt? Mar 29, 2019 What Types of Violations Might Appear on a Debt Collection Letter?